Le’ema Kathleen Graham is a visionary priestess who embraces multiple artistic disciplines: painting, dance and writing. 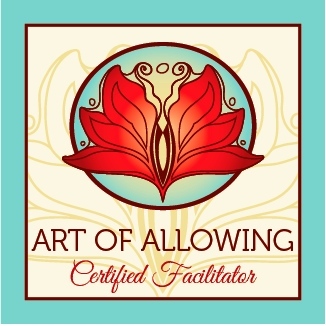 As a certified facilitator for Art of Allowing classes, she nurtures student’s inner creativity and helps bring out the artist within that is waiting to come to the surface. I am a visionary sacred artist with experience in many creative forms: dancer/choreographer, film-maker, yogini, teacher and author. 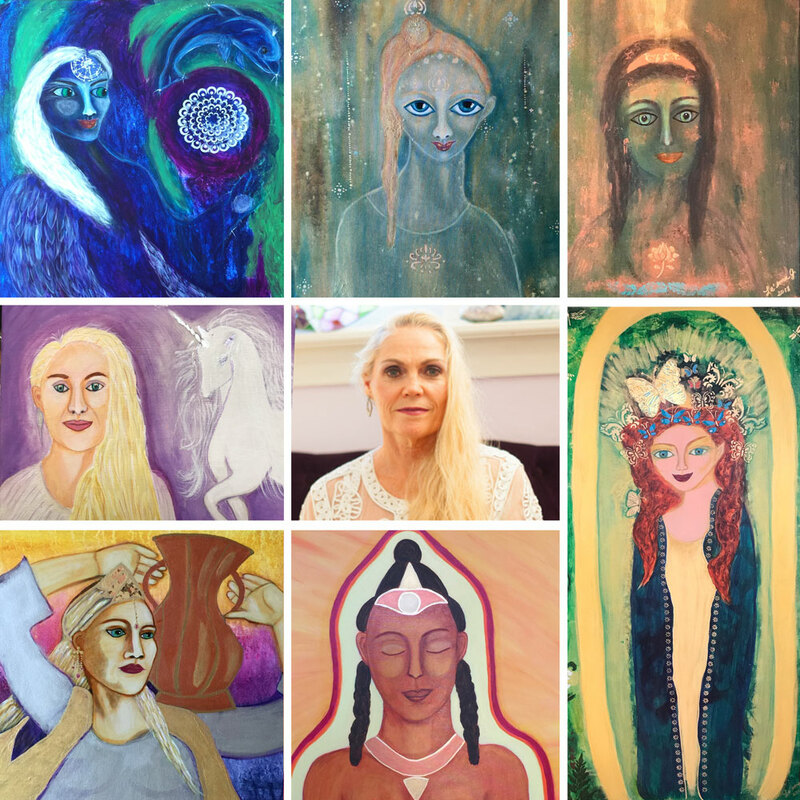 As a painter I work with images of the sacred feminine; with color and light and emotion. Painting gives me access to a healing sanctuary where I get away from the daily routine, my personal problems and responsibilities. I feel good about myself, and get lost in the work. Everything else fades away as I dive into the art and the canvas. Color, images, texture…while painting my mind chatter goes away, and the pure light guides me to the inner sanctum of infinite space. In the early 80s, a Sufi Master initiated me and I began to explore the relationship of the sacred through dance. A direct mystical experience with the Goddess Auset-Isis was the epiphany that led me to devote my life’s purpose and passion to making dances for Divine Mother. In 1997, I was ordained as a priestess of Hathor, the Egyptian Goddess of dance and music. 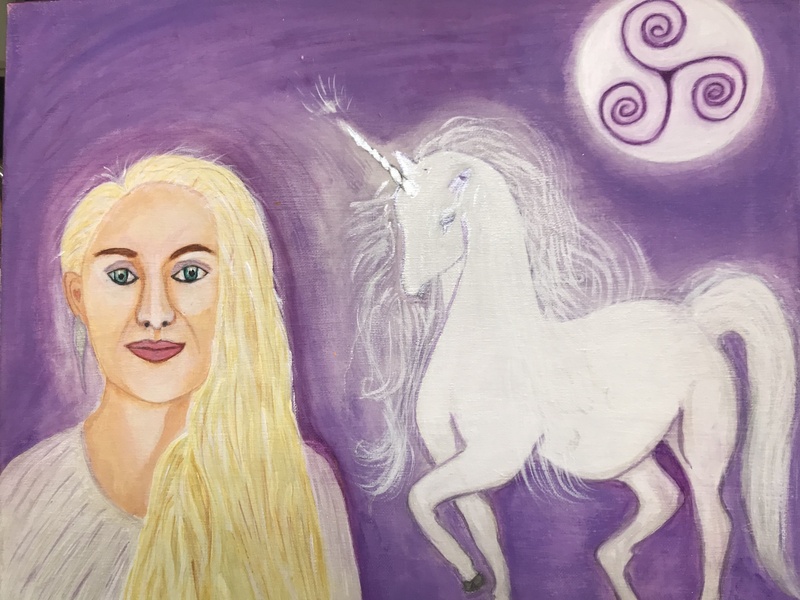 Having made more than 100 dances to the Divine Mother, I’m now painting the Divine Feminine. There is healing power in these images. Remembering our interconnectedness is so very important now in the fierce urgency of our planetary challenges. The Dalai Lama has said that it will be the consciousness of women who will make the difference, by restoring the feminine soul to the planet. We need to accelerate the awakening of women to their personal, political and spiritual power. The creativity of the feminine can reawaken our heart to loving our homes, our communities and our planet. Our connection to our mother the earth will restore us, renew us, and bring us back into our goddess-given birthright as creative, caring beings. I draw upon my experiences teaching women for the last 35 years. Art was always part of my teaching, empowering women to expand their creativity and expression. 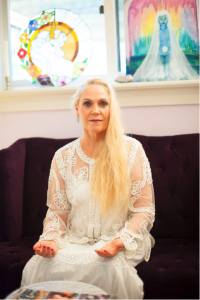 I invite you to join me in my beautiful Goddess Garden Sanctuary, a peaceful space for painting and evoking the sacred feminine in your own life. Le’ema invites you to contact her to discuss your path as a priestess or artist in any form. Consultations available in person or via Skype.